There is no doubt about it, Portugal is an awesome destination for those who love beaches, with many beautiful stretches of sand, a plethora of interesting rocky cliffs and a host of spectacular views and places to watch the sunset. While many head away from Faro to the resort towns scattered along the Algarve Coast, there is really no need if it’s simply a beautiful beach you are looking for. If you are staying in Faro or find yourself at the airport with time to kill, you can still enjoy some of Portugal’s great beaches nearby. 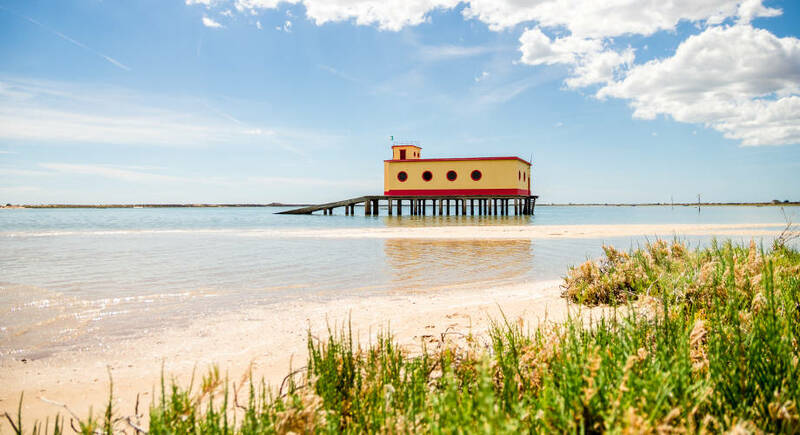 South of the airport is the Ria Formosa Natural Park, which is surrounded by three sandbar islands, home to Faro’s best beaches. The Ria Formosa natural park is a labrynth of canals, islands, swamps and sandbanks, which you can see from the air as you fly in to Faro Airport. The nature park is a haven for migratory birds and was voted one of the seven natural wonders of Portugal. Boat tours around the waterways of the Ria Formosa typically run for 3-4 hours in duration and usually pass by Ilha Deserta (directly south of Faro), Ilha da Culatra (to the east) and Ilha do Farol (just southwest of the Airport). 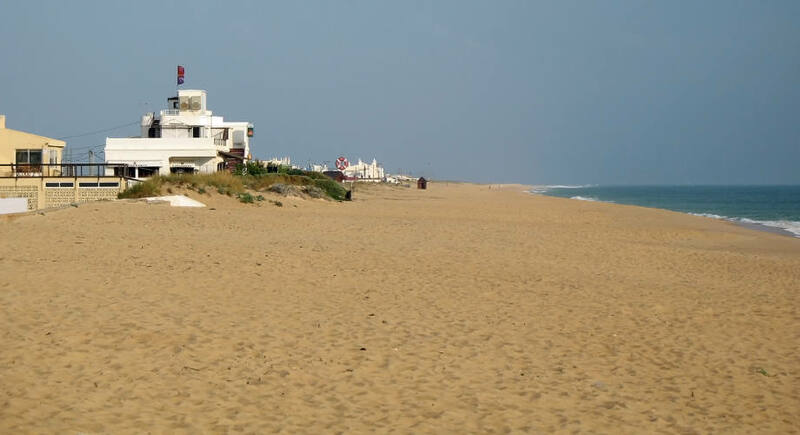 This is the closest sea-facing beach to Faro Airport and is probably the best and easiest to reach beach in the region. The beach extends for 10 km along the sea-facing side of Ilha de Faro (Faro Island). The rear of the island, facing inland in the direction of the airport, overlooks the waterways and mud flats of the Ria Formosa lagoon. Praia de Faro is the most developed of Faro’s beaches. It is accessible by road and there is a regular bus service from Faro. The beach area closest to the bridge and the bus stop offers an assortment of cafés, restaurants and a hotel. Here you will also find shops to hire water sports equipment from and this section of the beach also has a lifeguard during high season. Head to the eastern edge of Praia de Faro beach if you prefer a spot that is less crowded. 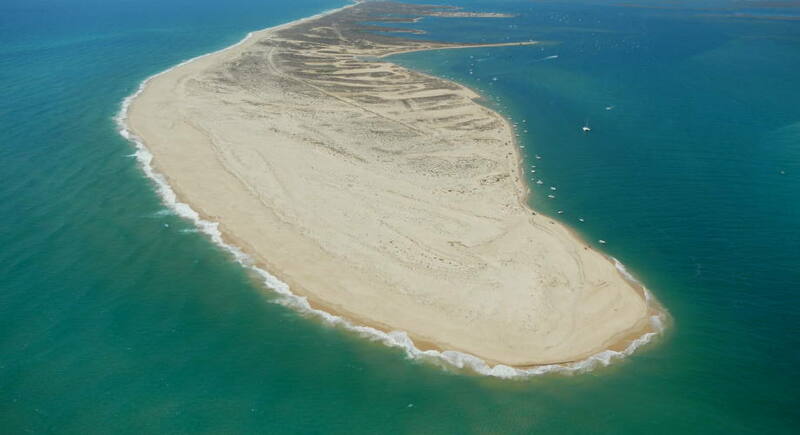 Ilha Deserta (Deserted Island) is the only uninhabited island flanking the Ria Formosa. 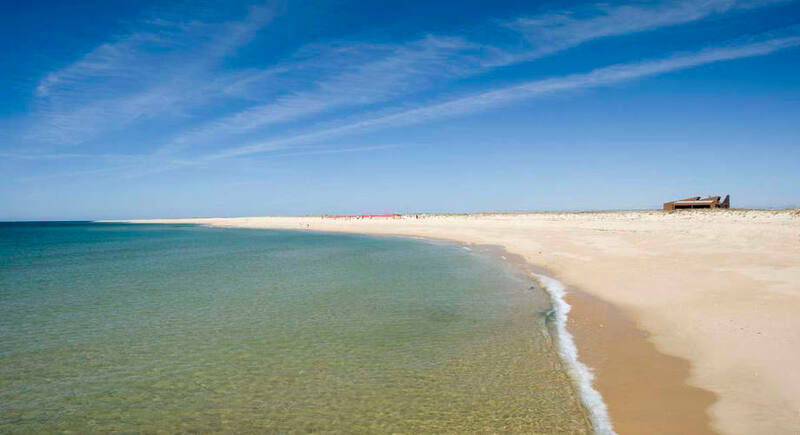 Ilha Deserta beach is perhaps the Algarve’s most isolated beach. To get there, take a ferry from Faro. Be sure to catch the last one back, otherwise you will be stranded! The island has 7 km of white sandy beaches, which are the quietest in the Algarve. The Cabo de Santo Maria beach is the most difficult to travel to but is well worth the effort as it is remote, unspoilt and the most southerly point in Portugal. The sea water here is exceptionally clean. You won’t find any facilities here, except for the exclusive Estaminé seafood restaurant (you need to book in advance). The Ilha da Culatra boasts a wonderful sand dune beach along its entire south-eastern shoreline. The ferry service from Faro departs from the Porta Nova Pier and takes 40 minutes. The island has two fishing villages, one on the lagoon side (Culatra) and one at the western end of the beach (Farol). Culatra is a great place for lunch. Farol sits in the shadow of an impressive lighthouse.